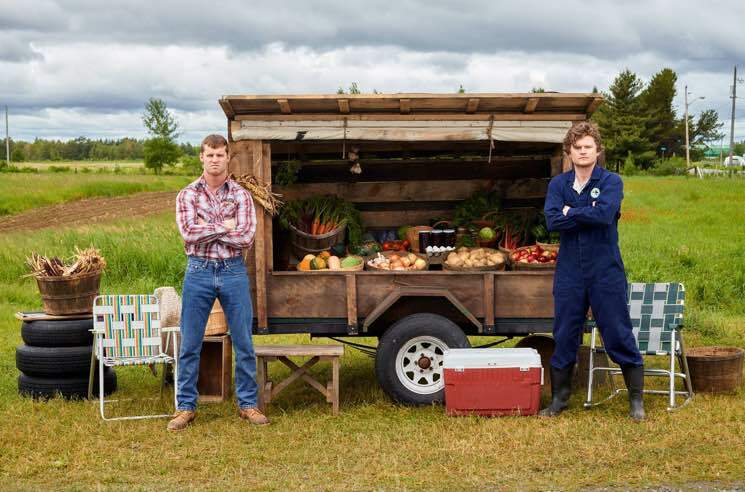 After mapping out a cross-Canada trek last month, the CraveTV original series Letterkenny has expanded its run with additional Canadian dates. As you can see from the lengthy itinerary below, new dates for the "Letterkenny Live!" tour will bring the tour to even more cities in Quebec, BC and Ontario. A handful of late shows have also been added to previously announced tour stops in Ottawa, Belleville, Kingston, Toronto, Peterborough, Winnipeg, Regina, Calgary, Edmonton, Grand Prairie and Victoria. As previously reported, show stars Jared Keeso, Nathan Dales, K Trevor Wilson and Mark Forward will be bringing a 90-minute "comedy experience" to stages across Canada, which will feature original sketches by the Letterkenny characters, as well as original stand-up sets by Wilson and Forward. Tickets for all dates are currently on sale through via Live Nation and Ticketmaster. The full run of dates is sponsored by the show's own Puppers Premium Lager and CraveTV. The show, celebrating and satirizing small-town Canadiana, is currently in its third season.